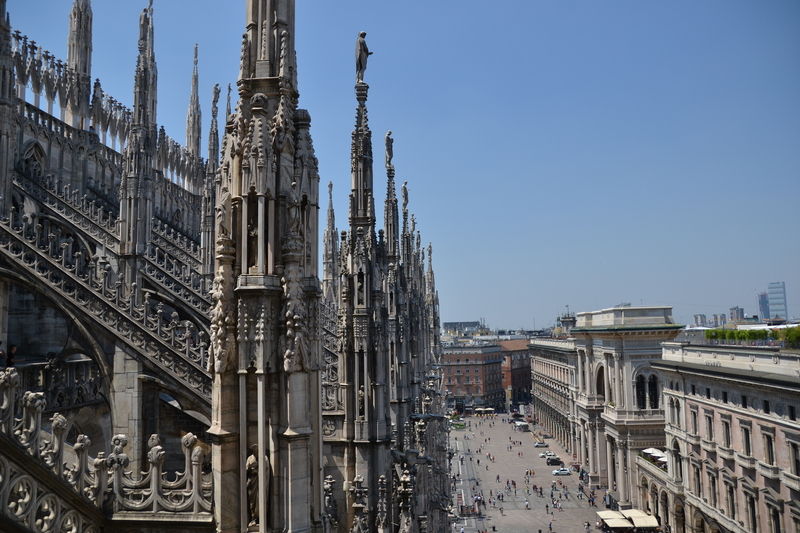 Milan, the capital of Italy’s northern region (Lombardy), is famous for it’s magnificent architecture, history and culture (after all, it’s home to Da Vinci’s The Last Supper). 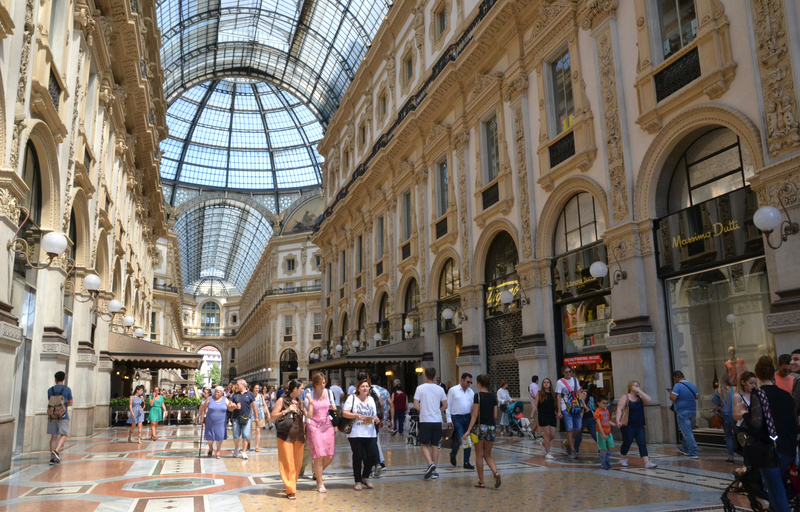 Milan is also a major fashion and design hub, and over a million tourists visit the city each year. Would you judge me if I confessed that my number one reason for visiting Milan last summer was not based on any of the justifications above? 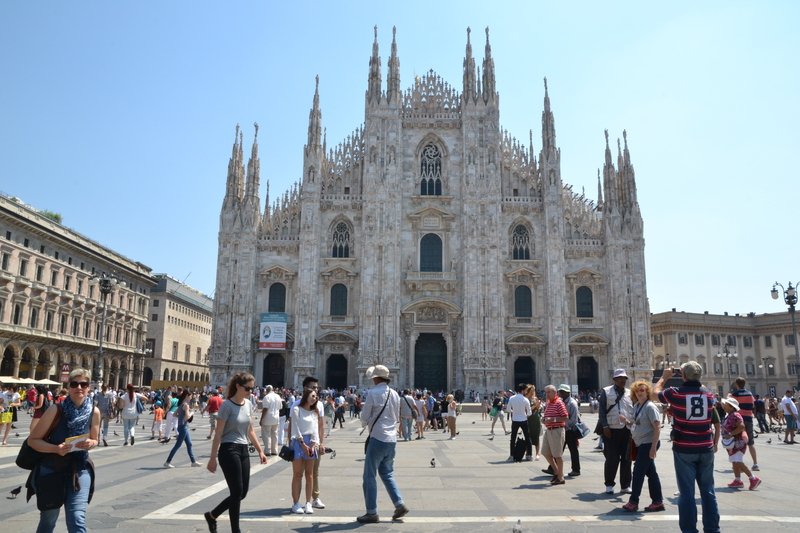 I go wherever cheap flights take me (recent uni-grad here), and last summer, one took me to Milan. 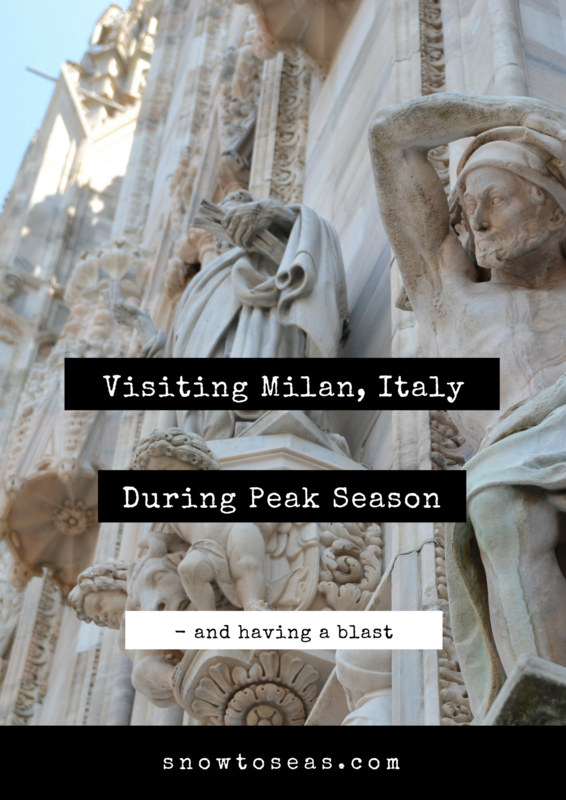 I was thrilled to be spending less than $40 on a flight from Warsaw to the Northern Italian city…So thrilled that the fact that I would be visiting Milan during peak travel season and a period of scorching summer heat slipped my mind as I clicked “pay”. Nevertheless, I was determined to make the most of it, and I refused to let the heat and crowds stop me from seeing what I wanted to see and doing what I wanted to do. Fortunately, I discovered that it is entirely possible to beat Milan’s crowds and heat, and now, you can find out how too. Side note: Of course I appreciate all the art, culture, architecture, and food Milan has to offer and truly enjoyed experiencing the city. 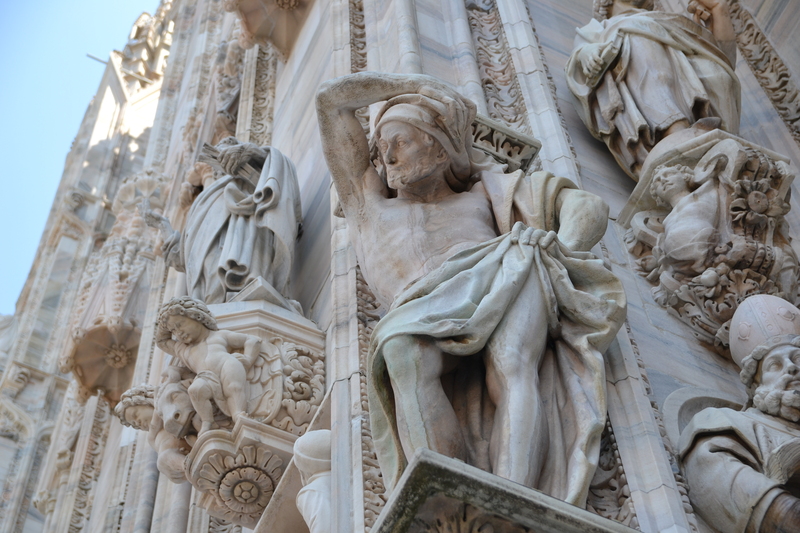 Let’s start by visiting the Piazza del Duomo. This piazza is considered Milan’s city centre, and some of they city’s most famous landmarks can be found around this square, such as the Galleria Vittoria Emanuele II walkway and the Duomo itself. It’s an understatement to say that this area of Milan is busy and usually packed. However, this doesn’t mean that you have to get caught up in the crowds and lines with all the other visitors. 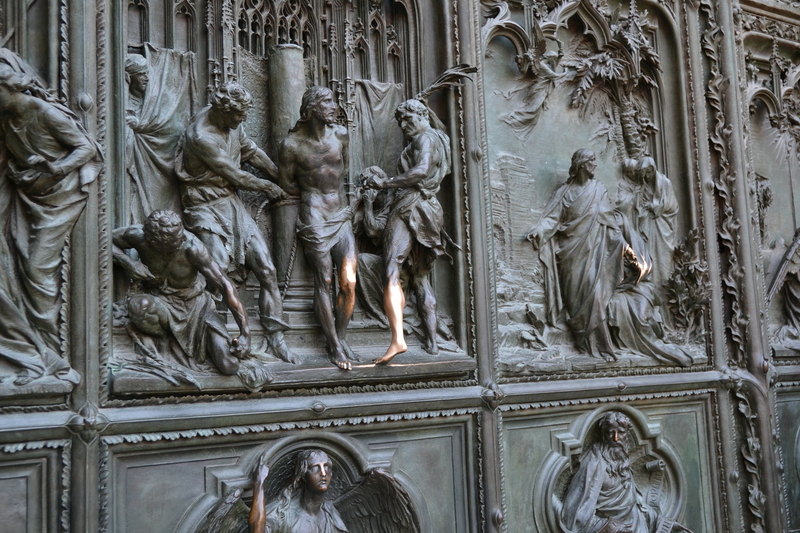 The Duomo in Milan and its incredible exterior details. If you want to visit the Cathedral’s interior and terraces, which I highly recommend, you don’t have to purchase your ticket from the ticket office right by the Duomo. There are 3 other ticket counters you can choose to buy your tickets from, and some of them are pretty well-hidden from the outside (such as the one in the Palazzo Reale). You can reduce your waiting time in line from over an hour to a couple of minutes. I did so on a July afternoon. If possible, take the stairs to access the Duomo’s terraces. The queue to the elevator was massive. The queue to take the stairs (note: they are narrow and spiral) was nonexistent. There’s no secret way to avoid lining up in order to enter the Duomo (security is tight). Fortunately, the line usually moves pretty quickly (I waited for only 10 minutes). It’s good to remember to that the Duomo is a Catholic place of worship and it expects visitors to respect its dresscode. This means that all visitors must have their shoulders covered. Having a sweater on hand (even if it’s 40 degrees outside), will prevent you from being denied entrance, having to track down a sweater or shawl, and waiting in line all over again. On a positive note, the employees at the ticket counters are usually pretty good at reminding visitors about the cover-the-shoulders rule. What’s aperitivo? It’s the Italian pre-dinner tradition of enjoying a drink with light snacks and simultaneously socializing with friends – similar to but better than the North American Happy Hour. Once you try it, you usually become a member of the “I live and breathe aperitivo” cult. Navigli is Milan’s canal district. 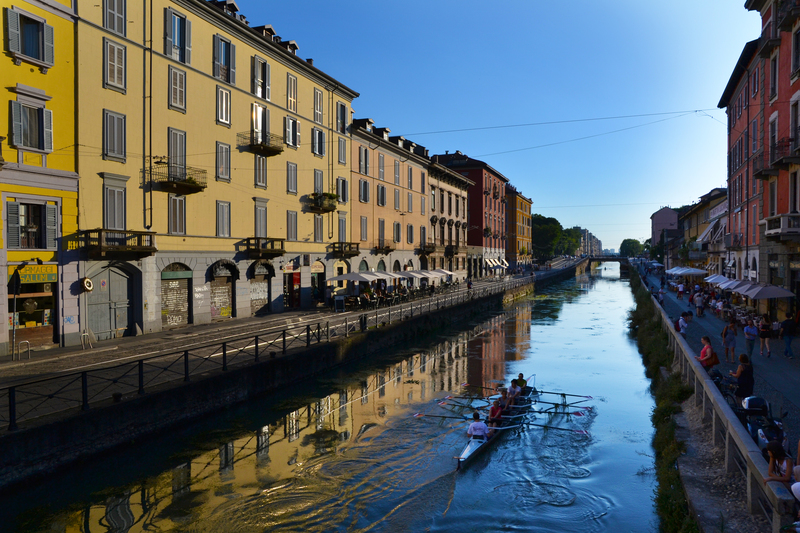 Along the main canal, you will find hundreds of bars and restaurants offering aperitivo. You are bound to find a seat along the picturesque canal. As an added bonus, enjoying aperitivo is ideal for the budget travel. For around 10 euros, you get a drink of your choosing and access to the restaurant’s buffet. Most restaurants offer more than just finger-food, and sometimes, even pizza can be found on the buffet table (such as at Manhattan). Milan is HOT during the summer. It’s not uncommon to have temperatures close to 40 degrees Celsius. So, if you plan on visiting the city in July or August, it’s important to stay hydrated and cool. Milan is more than ready to make that possible. When I say “fountains,” I don’t mean those colossal structures with stone lions eternally spouting water. I’m talking about simple outdoor water taps. Many of these can be found in Milan’s city centre and are frequently used for refilling water bottles (one can be found right outside the Northern entrance of the Vittorio Emanuele II walkway). So if you carry a water bottle with you, you’ll be set. 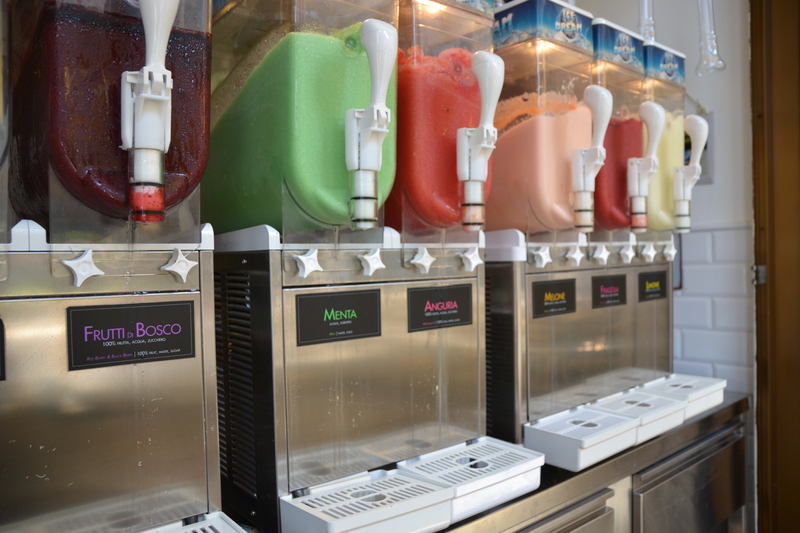 Of course, if you want to treat yourself, hundreds of vendors are more than ready to sell you some refreshing granitas, slushies, and sometimes, thirst-quenching coconut. 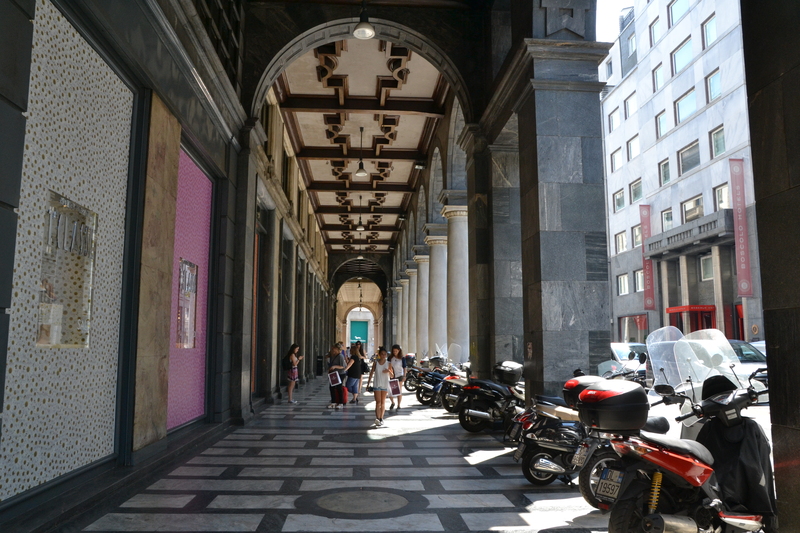 In Milan’s downtown area, you will find an abundance of covered walkways and sidewalks. 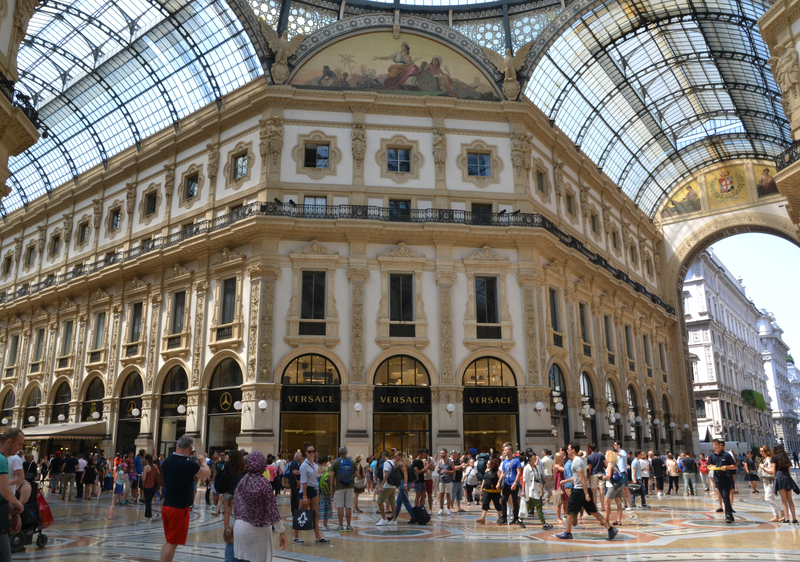 The Vittorio Emanuele II arcade is perhaps the most luxurious one (and it definitely deserves a visit), but you will find many, many more to protect you from the sun’s scorching rays. Sometimes, too many hours in the heat can make me not only feel like a sloth but move like a total sloth too. If you start feeling that way, a nap could be worth considering. After a couple hours of rest, you’ll feel reenergized and ready to take on the late afternoon and night. It’s summer, so the sun goes down later and you have more time in your day. You’re also in the city of art in fashion – you’ll have more than a handful of things to do after sunset. Nevertheless, if you’re determined to visit sites with strict daytime opening hours, follow the age-old piece of travel advice: visit popular sites first thing in the morning before the queues get too long and the heat settles in. 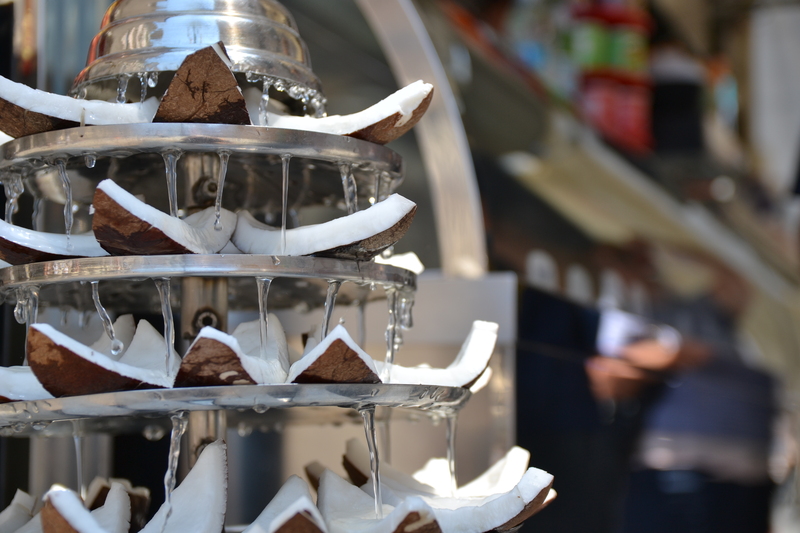 Do you have any other tips for visiting Milan during peak season? I’d love to hear them, so please don’t hesitate to comment and share them below!